Karen Bovenmyer is an exiled super villain making reparations from Ames, Iowa, where she contributes many hours of public service teaching new writers and training the next generation of super scientists at Iowa State University. Part of her rehabilitation includes serving as nonfiction assistant editor for Escape Artists’ Mothership Zeta Magazine, a quarterly ezine publishing fun and uplifting science fiction, fantasy, and horror. 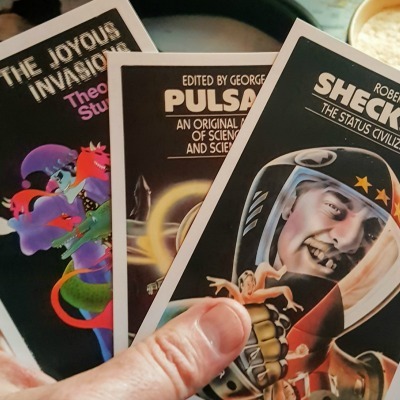 Her villainous exploits have been cataloged in such venues as Devilfish Review, Crossed Genres, Abyss and Apex Magazine and are forthcoming on the Pseudopod Podcast. She is truly sorry for her previous misdeeds and encourages you to check out Krystal Claxton’s other stories, especially Graeme Dunlop’s narration of “The Newsboy’s Last Stand” over at the PodCastle Podcast. She credits Claxton’s writings as pivotal in her decision to lay down her mask and check herself into the villain reform program. Discuss this episode in our forums.